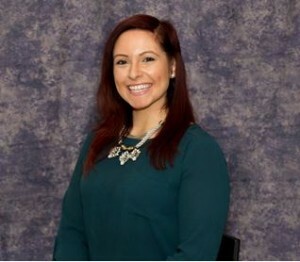 Dr. Mendez received her Doctor of Physical Therapy degree (DPT) in May of 2013 from the University of Medicine and Dentistry of New Jersey with the Academic Excellence Award. She has treated pediatrics, adults, and geriatrics with a wide range of conditions in inpatient acute rehab, school settings, early intervention, and outpatient. She is an author, lecturer and instructor for the Rutgers University School of Health Related Professions Doctor of Physical Therapy Program. In 2013 Melissa joined PRNY and has since achieved advanced certification in C1 and C2 Schroth based physiotherapeutic scoliosis specific exercises from the Barcelona Scoliosis Physical Therapy School (BSPTS) and became a Balance-Based Torso-Weighting Certified therapist, for the treatment of patients with various neurological/balance disorders. She is a member of the American Physical Therapy Association (APTA) and a member of the Society on Scoliosis Orthopaedic and Rehabilitation Treatment (SOSORT). Melissa also holds her BFA undergraduate degree from Mason Gross School of the Arts, Rutgers-New Brunswick with a concentration in Dance and was a choreographer and dance instructor.